Tomorrow’s Warriors have posted a slideshow of some of the wonderful images we used for my concert last week in the Purcell Room at Southbank Centre to celebrate (a week early) the 100th birthday of one of my mentors, Coleridge Goode. We’ll be posting up some footage from the show shortly. – we’ll be sharing your messages with Coleridge at his party on the 29th! 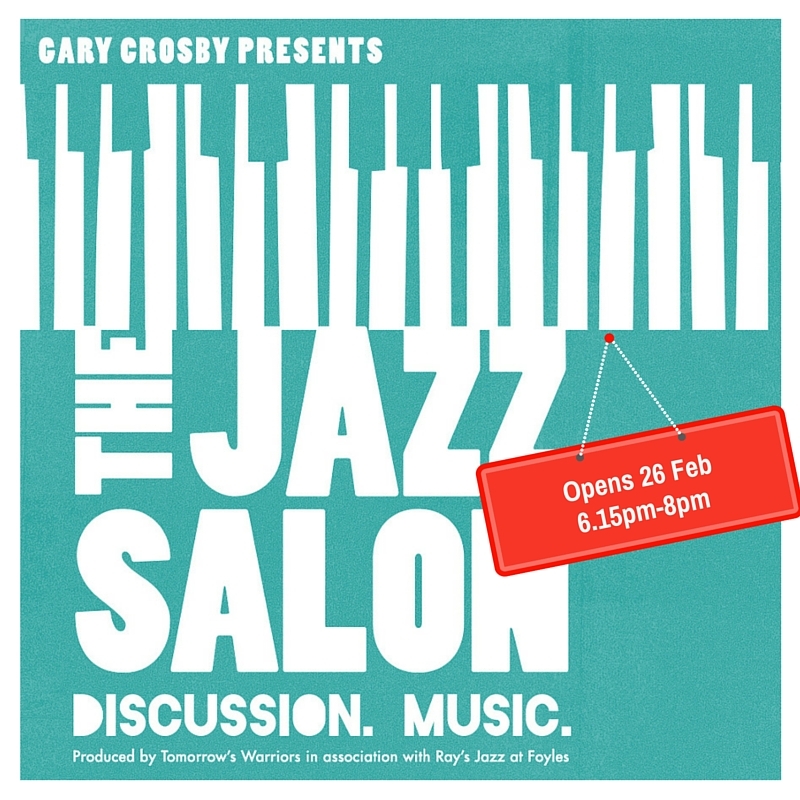 Last week Tomorrow’s Warriors artistic director, Gary CrosbyOBE was able to publicly share his admiration for his mentor at a special interactive concert during the London Jazz Festival. Today, we are so very proud to celebrate the 100th birthday of the double bass jazz giant and unmatched legend, MrColeridge Goode: ‘Lord Master of the Lower Frequencies’. Happy Birthday Coleridge! may you celebrate many more glorious years with your family and friends, and keep on inspiring future generations of jazz musicians and lovers of jazz music. Please join us in celebrating Coleridge’s incredible talent, his influence on the jazz scene and beyond and, most of all, the pure generosity and humanity he shows to those who come after him. Send your appreciation by tweeting #OnceInACentury #ColeridgeGoode100 or commenting on Facebook. Coleridge Goode, born 29 November 1914, Jamaica, West Indies. I’m excited to tell you about a special interactive concert I’m presenting on Friday 21 November at the Purcell Room as part of this year’s EFG London Jazz Festival – Coleridge Goode: A Celebration. It’s a tribute to my dear friend and mentor, the legendary Jamaican double bassist, Coleridge Goode, who celebrates his 100th birthday at the end of this month (29th). We’ll be marking this important event with a concert combining live music, conversations, literary readings, photography and film, and it would be wonderful to see as many of you as possible joining us for this party! So please share this info with family and friends! Joining me on stage will be Byron Wallen (trumpet), Aleksandra Topczewska (alto sax), Omar Puente (violin), Alex Ho (piano), Shirley Tetteh (guitar), and Moses Boyd (drums), and a panel of guest speakers including the beautiful vocalist Elaine Delmar, broadcaster and jazz historian Alyn Shipton, saxophonist Denys Baptiste, biographer Roger Cotterrell, and Goode family friend Colleen McIntyre. Our speakers will offer insight into Coleridge’s career and, sharing personal memories, shine a light on a life in jazz that began a few months after the outbreak of the First World War.Chairing the panel, and weaving it all together will be journalist and broadcaster Kevin Le Gendre. Coleridge is one of the most important musicians ever in the history of jazz and jazz bass. He worked with so many musical luminaries from Stéphane Grappelli and Django Reinhardt, to George Shearing and Joe Harriott, Shake Keane to Leslie ‘Jiver’ Hutchinson to John Mayer. He even played for the late British Labour Prime Minister, Harold Wilson at 10 Downing Street. He also featured in the Ray Ellington Quartet famed as the house band on BBC Radio’s irreverent comedy programme, The Goon Show that featured Spike Milligan, Peter Sellers and Harry Secombe. In addition to his contribution as a player, Coleridge is credited as the person who came up with the idea of the double bass pickup to amplify the sound of the instrument, marking a major development in the evolution of bass performance. I first met Coleridge in Earl’s Court around 1980 when I was working in a West African restaurant across the road from a club where he used to play. For me as a bass player, I was impressed not only by his technical ability, but also his immense musicality – watching him sing and bow his bass simultaneously was like having a live history lesson that harked back to the great Slam Stewart, Major ‘Mule’ Holley and Jimmy Blanton. Coleridge was incredibly generous towards us younger musicians, always happy to share information on the history of jazz in Britain. 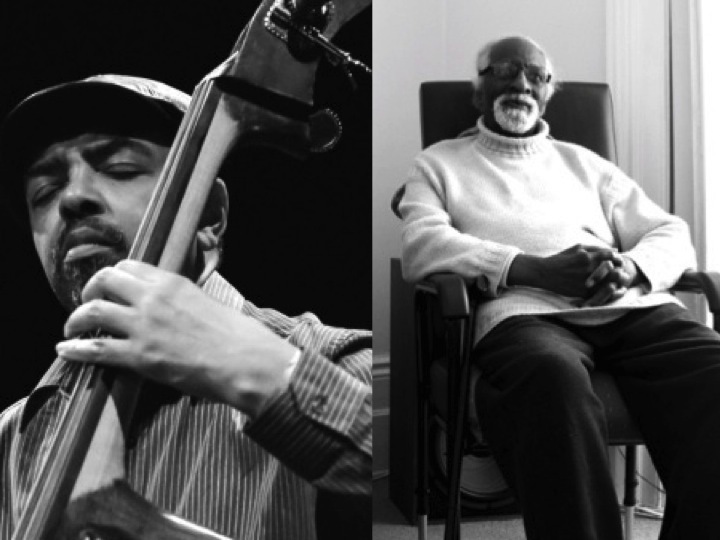 I was especially excited about his work with the great Joe Harriott – Coleridge is the last surviving member of Harriott’s innovative Quintet – and my conversations with him inspired me to conceive a concert in tribute to the saxophonist as part of the London Jazz Festival some years ago. Coleridge is a refined, cultured gentleman who loves all kinds of music, particularly classical music. 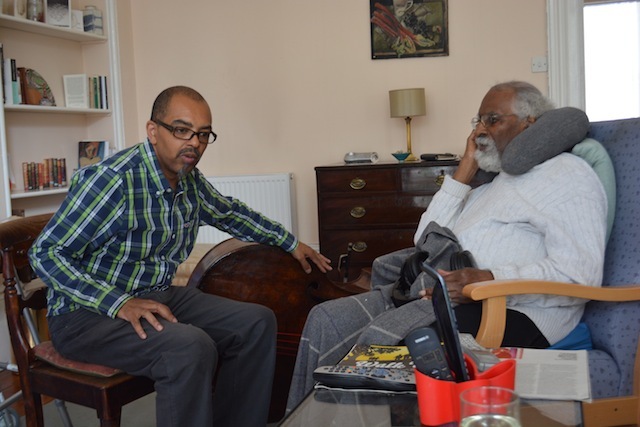 He has always been accessible to me, and I feel enormously privileged to have been invited to spend time with him and his beautiful wife, Gertrude at their house in Notting Hill. It is here that, over the years I’ve been introduced to a number of important Caribbean jazz elders such as Herman Wilson, Ken Gordon, Frank Holder, and Iggy Quail. He also introduced me to other jazz greats such Laurie Morgan, Michael Garrick, and Tommy Jones. Over the past 30-odd years, it has been my absolute honour and pleasure to become friends with, and be mentored by this wonderful human being. But his generosity hasn’t stopped there. He has allowed and encouraged me to bring many of my young Tomorrow’s Warriors protégés to meet and spend time with him at his house, where he has continued to pass on valuable information on jazz history and to appreciate our place within it. I will always remember the time when, as a birthday present to Coleridge, I learned his only known recorded composition, Dream For Bass. Since bowing and singing at the same time was not my thing, I practised the piece pizzicato then went over to Coleridge’s house where he was having a small get-together with family and friends. I played Dream For Bass in front of the guests who included my dear friends and master bassists, Peter Ind and Dave Green (inspiring me to hatch my Lords Of The Lower Frequencies project). Coleridge looked on, smiling and nodding his support. Later on, during a quiet moment, he pulled me to one side to thank me and tell me how impressed and happy he was that I had even attempted to play his music. However, just as I was about to acknowledge the great man’s praise, he added ‘…but I wrote that music for the bow’! In an instant I was humbled and reminded that I still had much to learn from this incredible musician! Do come along to Coleridge Goode: A Celebration on Friday 21 November and join me in celebrating the 100th birthday of the consummate Lord Of The Lower Frequencies. Sadly, he is now too frail to attend in person, but we hope to record the concert for Coleridge so he can enjoy listening back to it when we celebrate with him on his birthday. And guess what? Though age may have forced him to lay down his bass, you can still hear him scatting along to music whenever it gets to the bass solo! 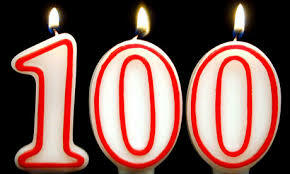 HAPPY 100TH BIRTHDAY Mr Goode!